In an earlier article, I talked about some of the ways you can effectively use a bonus to improve both your current and future financial wellbeing. Now, I want to shed some light on another increase in cash flow: a salary raise. You’ve likely earned a raise at least once before. The feelings of joy and accomplishment that come with that raise usually make all those extra hours spent at the office not being able to meet friends for dinner worth it. Then, from an actionable standpoint, you find yourself thinking about what to do with the extra monthly income. Sure, maybe you envisioned that when you got that next promotion, you wouldn’t be living paycheck-to-paycheck anymore, and could finally start saving for those bigger goals, such as retirement or a downpayment for a house. But we know that that new raise typically goes something more like this: you start going out to dinner more, you take an extra trip or two a year, and move into a nicer flat. This increase in overall spending is commonly known as ‘lifestyle inflation’. Lifestyle inflation can make day-to-day life feel bigger and brighter, but on the flipside, it also makes long-term goals, let them be retirement or sending your kids to school, no easier to achieve. 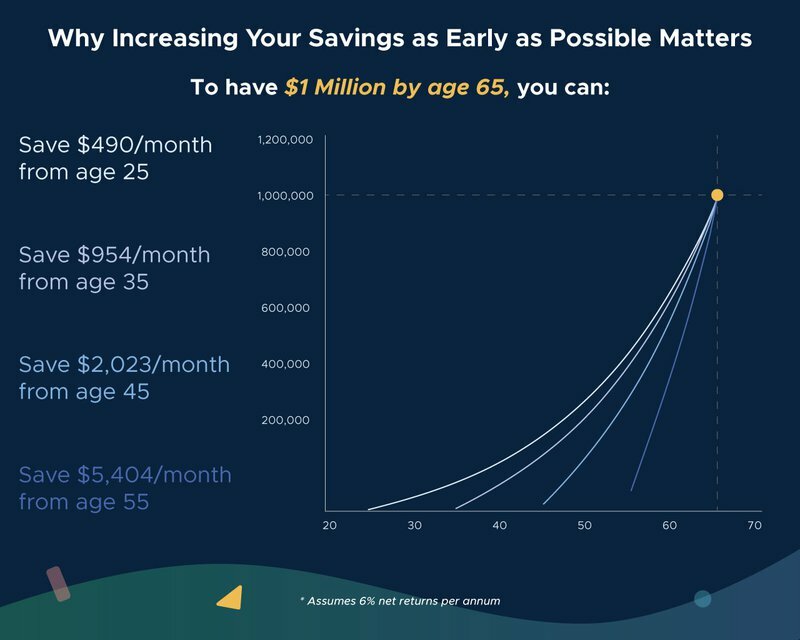 In other words, you get to live a little more comfortably today and tomorrow, but you’d still retire at the same time with the same amount, or still buy the same type of home you were initially saving for. So you can increase your spending, but it just doesn’t get you any further in the longer term. The other approach to managing a raise is to be intentional and strategic about where each of your hard-earned dollars goes. We’ve established that the first approach will lead to a more enjoyable life day in and day out, but that it won’t materially improve your future. So let’s take a closer look at ways to keep lifestyle inflation in check while investing in yourself and your future. Instead of keeping up with the Joneses and purchasing more “things”, start contributing a healthy amount of your salary increase to reducing debt (if you have any), and then saving and investing toward your long-term goals (hey, why not retire or start that business a few years sooner than you originally planned to?). Just because you’re making more money doesn’t mean that you have to stop thinking about where you allocate your money. But you also don’t need to overcomplicate how you allocate your salary. Let’s say you’ve earned a $1,000 raise. You could start by putting $500 more per month towards retirement, and $250 towards a down payment for a flat. And when $500 a month towards retirement doesn’t seem like much or worthwhile when you could put that towards a flight to Bali, consider this: your $500 per month will be $1,000,000 in 45 years. A small decision can have an enormous impact in the future. And then, you still have $250 that you can spend and reward yourself (remember: you need to have an incentive to keep working hard!). So you’re still increasing your monthly spending on yourself, but instead of increasing your monthly spending by $1,000, you’re increasing it by $250 so that you can put more towards a better future. This is great way of splitting up the funds and still feeling good about spending some money on new clothes or extra dinner money. You need to be in control of your financial destiny; make sure that lifestyle inflation doesn’t control you.